Who are we? In addition, where are we going? As far as foreign and defence policy were concerned, President Juncker outlined in 2014 the Commission’s political guidelines. In particular, the cornerstone of this initiative was to develop a stronger Europe – inside and outside its borders. Europe is the largest trade power in the world. This power reflects on other important spheres of external relations. Therefore, the EU is the biggest development and humanitarian aid donor, as well. Its External Action Service holds real weight and plays a major role, keeping – as far as the EU actually can – the world a safer and more sustainable planet. We can see how the EU brokered the Iran deal on its nuclear programme and the leading role the EU played in the Paris Climate Agreement. At the United Nations level, it is anyway remarkable the effort paid by the EU towards the adoption of the Sustainable Development Goals for 2030. Finally, the EU is going to enhance cooperation with NATO and play a major active role in the Council of Europe – on the eve of its future accession to this international organization. As far as development is concerned, on December 12th 2017, the European Parliament and the Council of the European Union adopted a regulation to facilitate EU budgetary support for capacity–building programmes in third countries. The Commission Work Programme – set in 2016 – envisaged a recommendation to open immediate negotiations on the eve of the expiring date of the Cotonou Partnership Agreement in 2020. The development of a strong Common Security and Defence Policy and defence cooperation is one of the main area of interest for Euro–enthusiast supporters, federalist dreamers, and the EU institutions itself. Anyway, in three resolutions adopted in May 2015, the European Parliament expressed several reservations about this future cooperation on military issues. 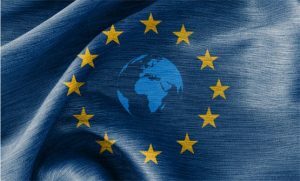 On March 2017, the European Parliament has urged the Council to take concrete steps towards the harmonization of the EU armed forces and called on the Council and the HR/VP, Federica Mogherini, to elaborate an EU White Book on security and defence. It is right now clear how Europe’s prosperity and ability to uphold its values in front of the international community will keep on relying on its openness and strong links with its partners and allies. This year, from a commercial point of view, the EU is leading the path towards the conclusion of a mutually advantageous free trade agreement with Japan. As we explained in previous issues, the EU has already pledged to further increase its international role and presence by developing a stronger security and defence policy. This will of course lead the EU to take greater responsibility on the world stage and to provide Member States with aid to increase their military spending. Thus, the Commission proposed a defence research programme with an estimated amount of €500 million per year, and the creation of a European Defence Fund by mid–2017. In the Commission’s White Paper on the Future of Europe, several scenarios for how Europe’s trade and defence policies could evolve were explored. The third scenario, “Those who want more do more”, defines the opportunity for a group of Member States, who could decide to jointly acquire a drone for military purposes to use for sea and land surveillance, to actually do it. Reconnecting to the principle of the Enhanced Cooperation within the EU, this can be applied to many aspects of the EU external action. « Previous Article Western Balkans Strategy: Finally Getting Serious?